When you launch a Web browser, it automatically opens a new window with a default home page--usually Google.com or Bing.com--loaded and ready to go. You can set the home page to any website you prefer, however. 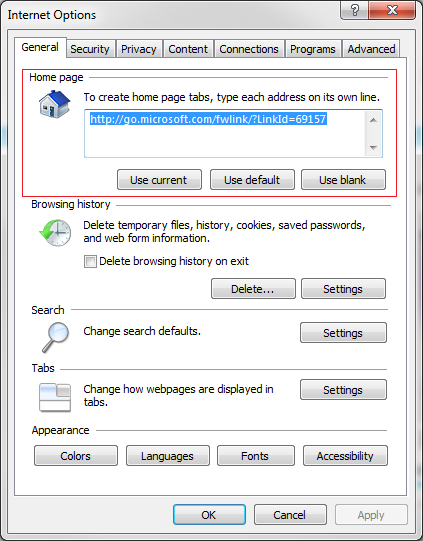 Here's how to change the home page in Microsoft Internet Explorer, Google Chrome, and Mozilla Firefox. 1. 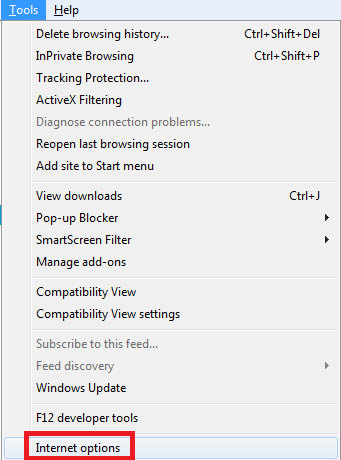 Click Tools, Internet options. Windows Vista/7 users may need to press the Alt key for the menu to appear. 2. The Internet Options window will open. Click the General tab, and type in the address of the website you want as your start page under the 'Home page' heading. 3. Click Apply, OK to close the window. 1. Click the wrench icon in the top-right corner of the browser. 3. In the 'On startup' section, select Open the home page. 4. In the 'Home page' section, choose Open this page and type in the address of the website you would like as your start page. 5. The settings apply immediately. You may close the settings tab now. 1. 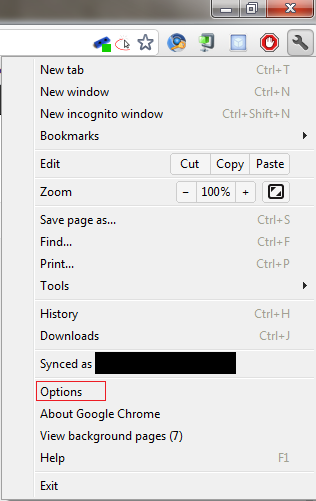 Click the Firefox menu at the top-left portion of the browser. 2. Click the Options menu, and then Options. 3. The Options window will open. 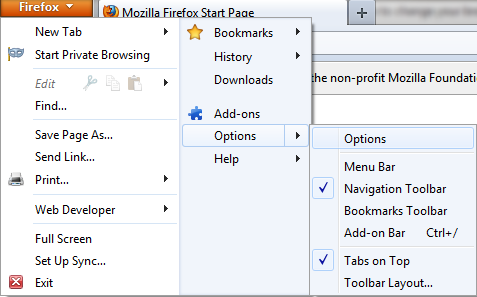 Go to the Startup section and select When Firefox starts: Show my home page. 4. In the Home Page field, type in the website address you want to use as your home page. That's it! 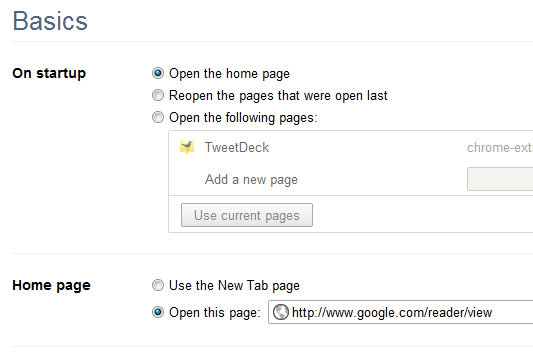 Just make these changes in your browser of choice, and enjoy your new home page.